It’s heartening to observe the recent trend of repurposing old goods into workable, worthwhile objects of value and especially so, if you were the one responsible for the transformation. We have had the pleasure of watching Kirstie pick up furniture orphans from junk yards and resourcefully transform them into prized family members on her weekly program. Clothing, toys and linens have all been fair game for the passionate upcycler, with vintage and charity shopping now a popular pastime. So after a beautifully baked leg of ham had served its dinnertime purpose, but still boasted a plentiful supply of succulent meat to carve, it was time for some upcycling in our kitchen. Being well out of the festive season, purchasing a leg of ham is very affordable – in fact quite a canny choice. Simple to prepare and quick to bake, this is an overlooked roasted ‘joint’ with the potential to be so many other meals. When you bring your ham home, carefully run the knife around the narrow end and gently work off the outer skin, leaving the fat underneath in place. Once the skin is peeled away, score the fat in a cross-hatch fashion. Warm a small jar of marmalade and brush this over the ham generously. Poke a whole clove into the centre of each diamond shape. Sit your decorated leg in a large baking tray and bake in a moderate oven (ie 180 degrees celsius) for 45 minutes or until it is nicely browned. 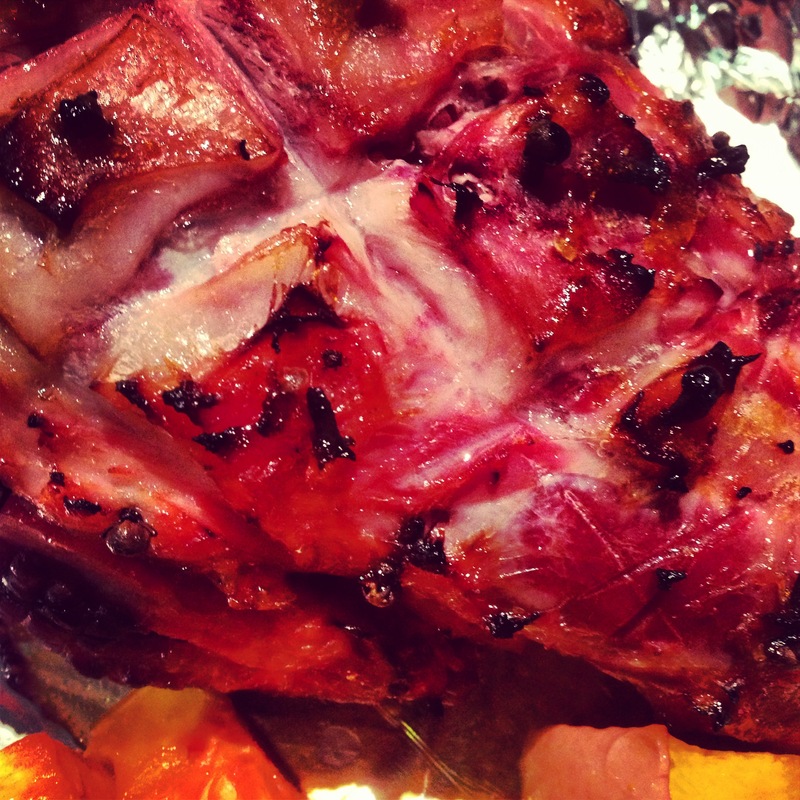 Your ham is ready to carve. My carnivorous family barely makes a dent on a baked ham in one sitting, so throughout the week rolls are filled, grills are served and finally I unwrap a calico covered shape that begins to resemble a bone. 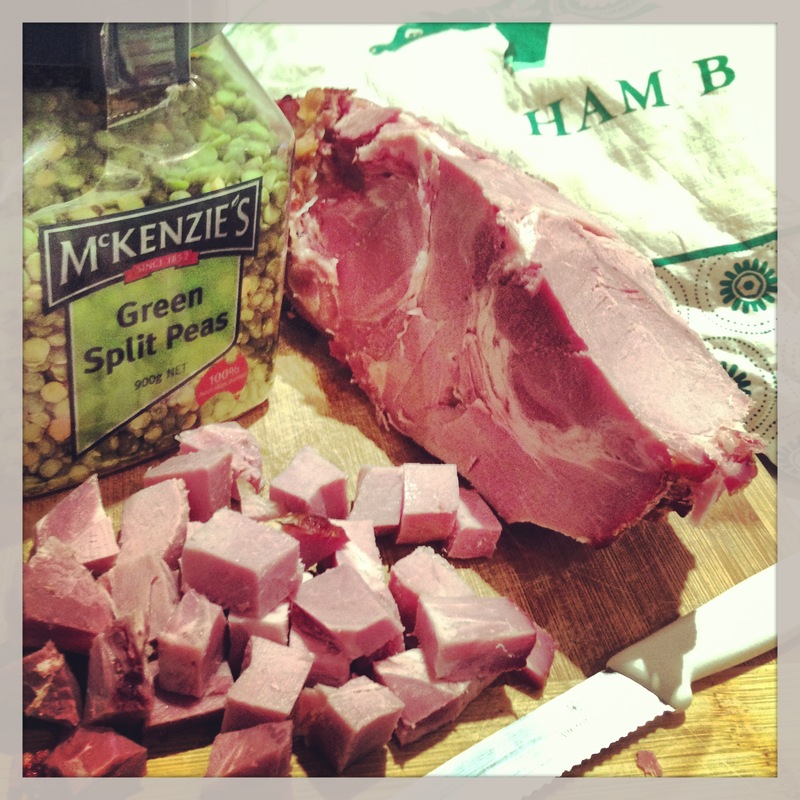 Still well covered, this joint is upcycled once again – pea and ham soup. A plentiful soup can be produced by plonking the bone holus-bolus into the pot and using this recipe (which I discovered on the back of my McKenzie’s Green Split Peas packet). Put your ham bone in, follow McKenzie’s steps and lunch/after school feeding frenzies are covered for the rest of the week. As your ham leg makes its way through all of its various mealtime identities, it can be stored very effectively in the refrigerator in a calico ham bag. No ham bag? No problem – because you too are a resourceful upcycler, a dampened tea towel repurposes wonderfully. Postscript: and just when you thought the upcycling was complete, the long simmered soup bone, after cooling on the bench, became a happy dog’s chew on a sunny afternoon. Apart from providing glamorous pre-midnight transportation to royal balls, pumpkins are a wonderful kitchen staple. Restaurants are incredibly inventive with them, delivering burnished coulis, sorbet, and ravioli to their anticipative patrons. At our place, these orange stalwarts typically convert to soups, scones or roasted accompaniments – and are equally appreciated. It was the perfect squat shape and the speckled skin, rather than shopping list requirement that ensured this weighty vegetable’s place in the trolley this week. There’s something quite reassuring about the sight of a big pumpkin on the kitchen bench. 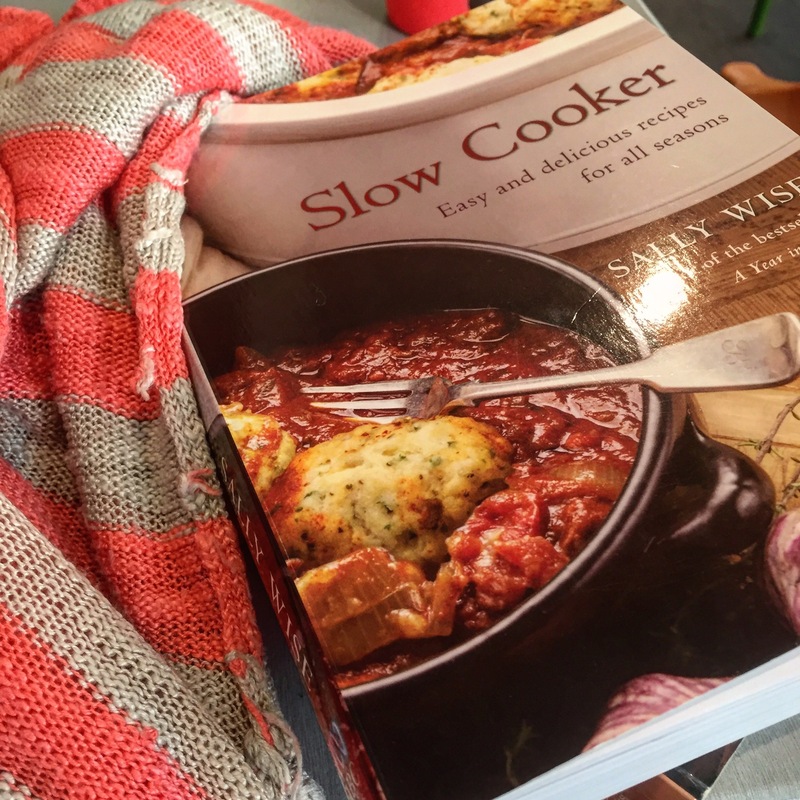 Perhaps it is the promise of soup and scones to come, or simply the rustic, homely image. Definitely those, but also something quite intangible yet equally significant. With the ever-increasing availability of pre-cut, prepackaged green grocery these days, the uniqueness of bringing home an uncut, unwrapped vegetable is so gratifying. And like a trophy for the wholesome shopper, worthy of proud display. This week, haul your prize home, position it prominently and allow at least a day or two of solid admiration before applying your sharpest blade to provide your family with the spoils. Place pumpkin in roasting dish and bake for up to an hour until soft and skin begins to crisp. Remove flesh from skin and place half in a blender with one cup of the stock. Blend until smooth and repeat with remaining flesh. Put all of the soup in a large pot with remaining stock, honey and mustard. Simmer for 10 minutes until heated through. Season with salt and pepper. Pour into bowls and garnish with coriander leaves. Preheat oven to 220 degrees celsius. Grease baking tray. Sift the flour and salt into a bowl. Rub in the butter. Add the pumpkin and egg. Mix into a dough then turn out onto a lightly floured surface and knead briefly. A little extra flour may be required. Pat out into a round and cut with scone cutter. Place on prepared tray and brush tops with milk. Bake for 2o minutes or until risen and golden. 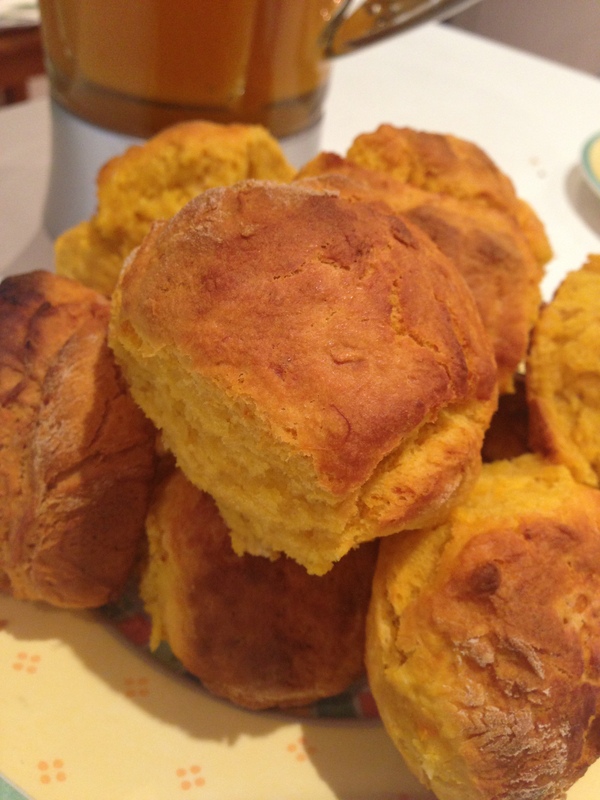 Postscript: we all have our ways with pumpkin soup and pumpkin scones. 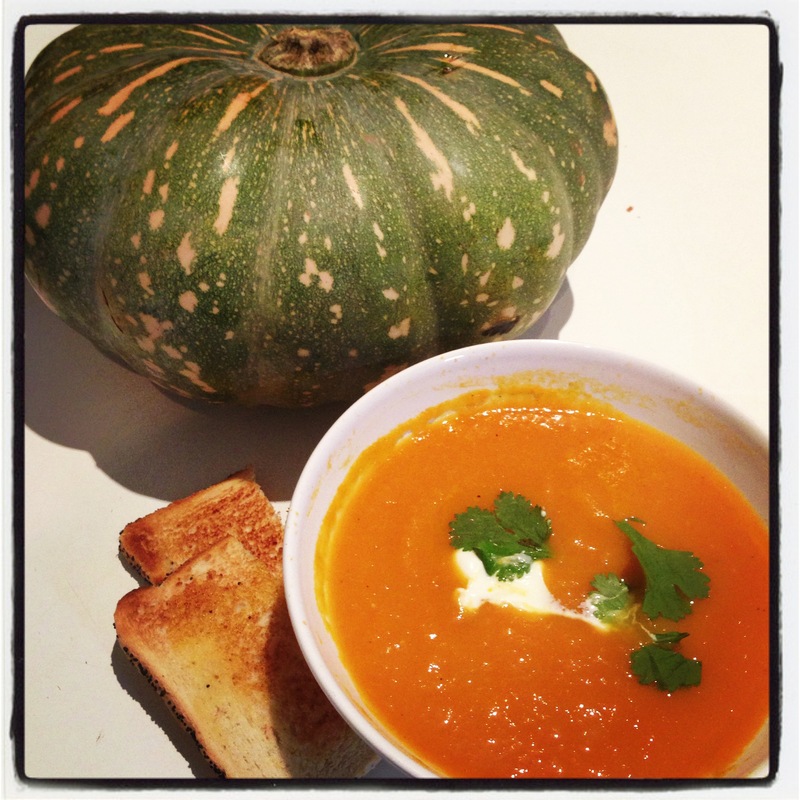 For me, it is to roast the pumpkin off before pureeing into soup, for depth of flavour. For the scones, as they are to be paired with the soup, sugar is deliberately omitted. Every year I raise a patch of broad beans – and not because I am a broad who loves beans – but rather because I enjoy presiding over a vigorous leafy crop laden with produce. A thick forest of tall growth bursting with fat pods does wonders for the soul. Invest in a packet of seed and plant yourself some rows when next you are given some sunny moments of alone time on a future weekend. If the soil is moist, there is not much else to do but wait for a few weeks to see your bean shoots appear. Once established, rather than deep watering, broad beans love a good spray. Soon white flowers with black spots will appear – the forerunner to your pods. During this period, as your crop develops, make regular visits and marvel at the dense growth. Other than a gentle watering, these beans will ask nothing of you, will not notice if you’re sporting gumboots with pencil skirt and will stand silently by you as your strategy for dealing with an aberrant child is formulated. Heat oil in a large pan over a medium heat. Add onions and leek. Soften for 10 minutes stirring often. Add the beans, garlic, and potatoes. Stir then pour in 3 litres of water. Season well with salt and pepper. Increase heat and bring to the boil, then simmer for 15-20 minutes. Cool and then process with stick blender. Serve with parsley scattered over and some parmesan cheese on top. Postscript: People originating from distant parts prefer to eat the beans freshly from the pod, with a glass of arak to see them down. Therefore, my beans rarely make it to the cooking pot, with often only a pile of vacated skins left abandoned on the counter top as evidence that they ever were. There comes a point where it is time to literally take stock, and when I reach this juncture, this is the soup I turn to. 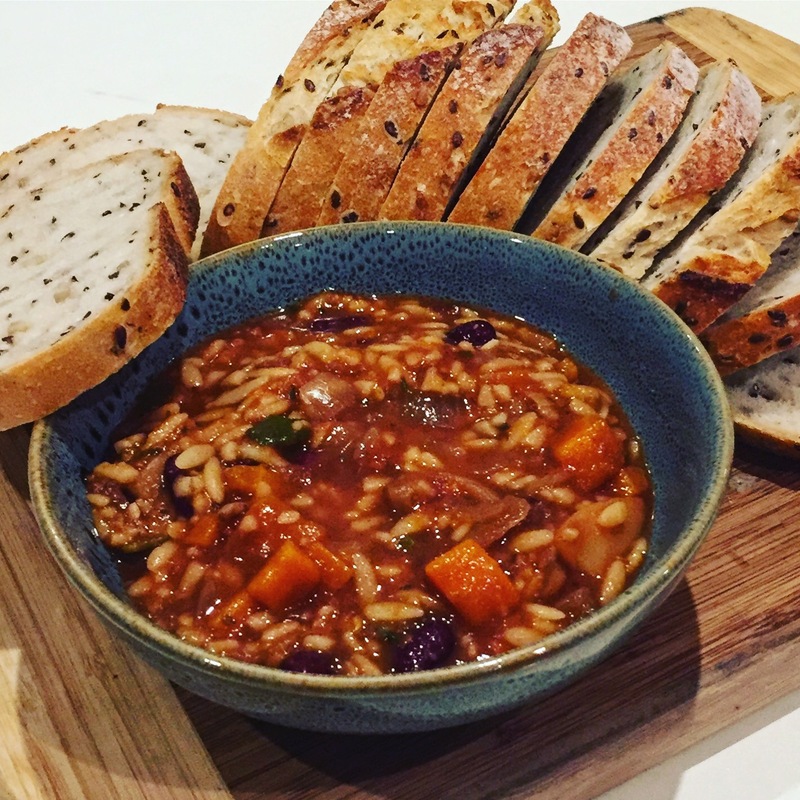 It ticks all boxes: nutritious, economical, substantial, simple, and when a dietary line must be drawn in the sand, it is always the first meal that kicks off the new regime. One of the fastest ways to churn through dollars and ingest large portions of energy dense food, is to buy lunch. If the decision regarding what to eat is made minutes before consumption, it is heavily influenced by raging hunger hormones and low blood sugar. All rational thought will evaporate when a large roast pork roll with gravy at $10 a pop looms. By the end of the week, $50 has also evaporated, and 500 grams has cleverly attached itself in its place – except not to the wallet but rather the waistline. The best way I have discovered to sidestep this scenario, it to have a pot of soup on hand. 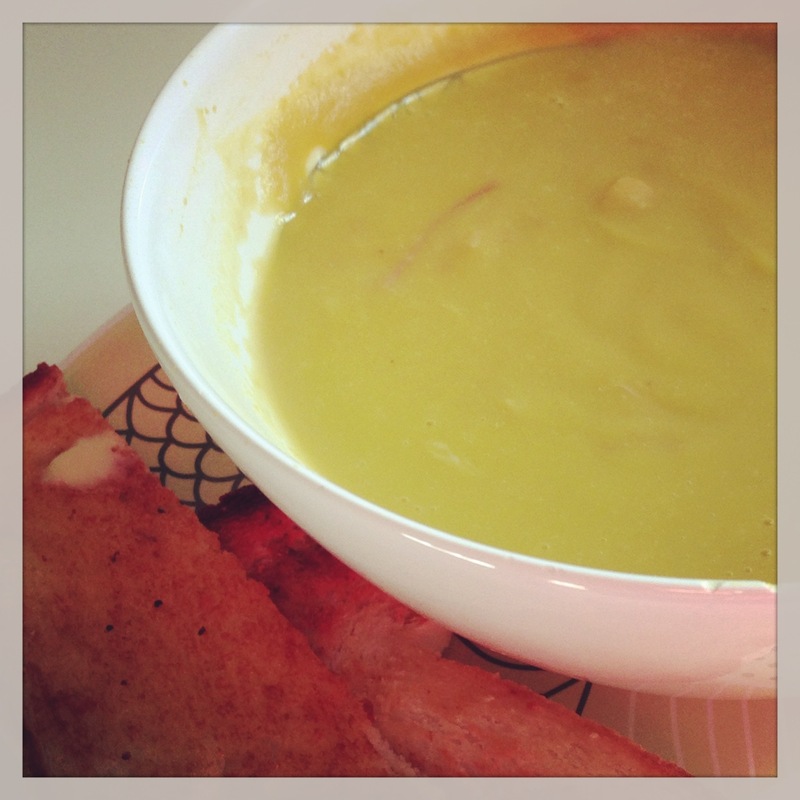 Dished swiftly into a soup mug or bowl in the morning, a quick zap at lunchtime and a nice lunch is available. No purses opened, no lipids stored. 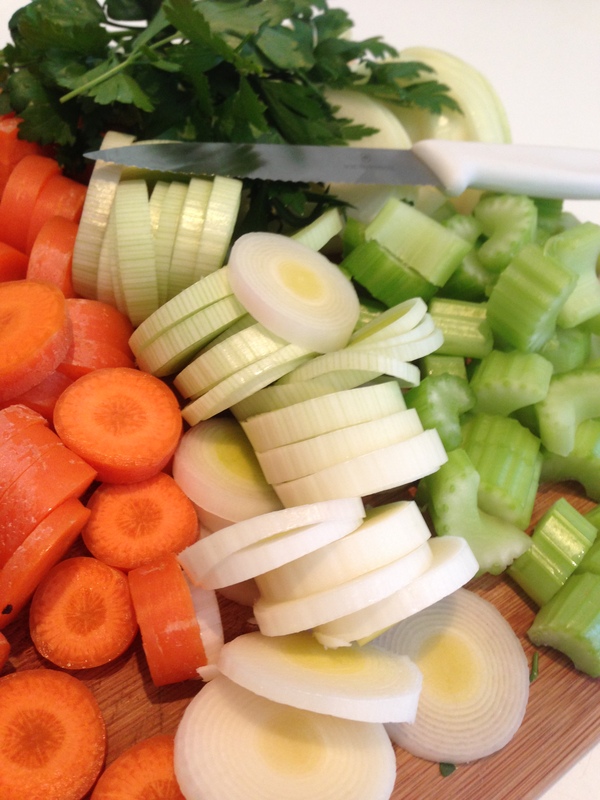 In a large pot, heat the oil on a medium heat and gently cook the onion, leek, celery and carrots, until the onion has softened. Add the stock and season with salt and pepper. Increase the heat and add rice. Once the soup has reached the boil, turn down to a simmer and cook for 15-20 mins, or until rice is cooked. Add the chickpeas/beans and shredded chicken and simmer for a further 10 minutes. Serve with parsley scattered over and fresh bread on the side. Postscript: This is the kind of soup that can be added to or subtracted from. Check your refrigerator or your preferences and make the necessary changes. Just the appearance of a bunch of silverbeet radiates clues to its goodness. The squeaky, glossy generous foliage spells out in no uncertain terms, the abundance of goodness it contains. Alive with little packets of chloroplasts, the bunch almost seems to vibrate before your eyes. Silverbeet is a pleasure to grow in the vegetable patch. Looking lustrous and leafy, the gardener’s horticultural self-esteem is given a hefty boost. Stalks can be sliced off at will, without the need to remove the entire plant leaving an ugly bald spot behind. New leaves will continue to sprout and according to ‘silverbeet experts’ these are the finest for culinary purposes. I let mine over grow for effect. This week, a large bunch was harvested and sent across to a willing neighbour. To my delight, this is what we received in return, still warm. While the crop is plentiful, it’s nice to seek out new ways to incorporate silverbeet into our weekly intake. 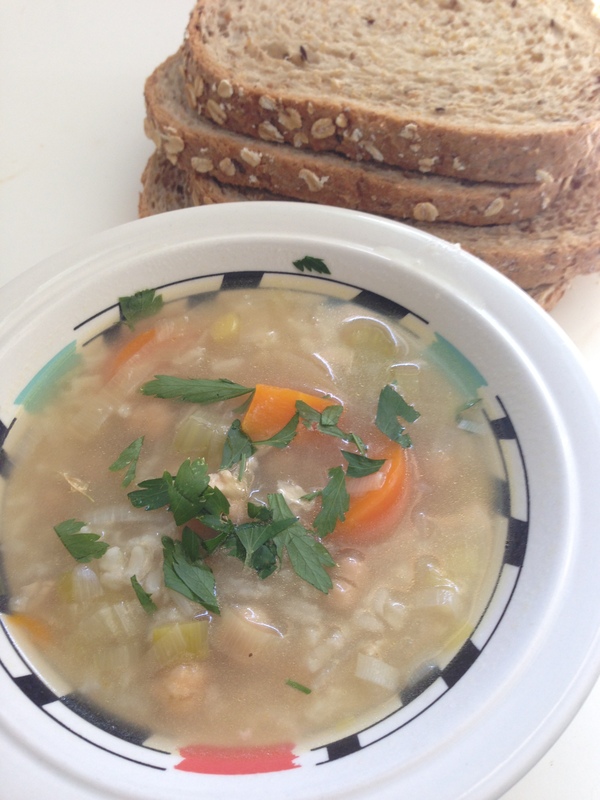 This year, I happened upon this simple soup, which is light enough for lunch in the warmer weather. Heat oil in large pot and gently fry off onion, garlic, ginger and bacon until cooked through. Add silverbeet and cook down for about 5-10 minutes until wilted. Pour over chicken stock and bring to the boil. Turn heat down and simmer for 10 minutes. Postscript: Always happy to learn new ways with these leaves. If you have tips, please share!